Jason, more commonly known as The University Kid, has purchased the second paid ReviewU ever. Surely, this is an event which will go down in the annals of history. The subject of this review, Blog Premiere, is certainly worthy of such an honor. You see, this new site isn’t just a blog, it’s a blogging magazine. Jason has high hopes for this site, and I do too. Let’s take a look at where it is now and where it’s going. I just have to get this out of the way: The theme is gorgeous. You simply can’t go wrong with a theme by Adii (he made the one I use on this site too). To me, this site doesn’t look like a plain, ordinary blog. It looks like a professionally done news site (which is a big plus). Even in this super-futuristic year of 2008, some people still refuse to see the blog as legitimate media form. 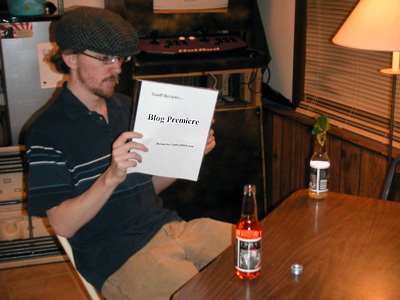 Blog Premiere won’t have that problem, as the theme positively screams MAGAZINE instead of ANGSTY LIVEJOURNAL. Here’s one thing I’m not really clear on yet: Update frequency. If you take a look at the articles that are currently up, you’ll see that they’ve been added over the past few days. If you check out the About page, however, you’ll see that it says that the site will be a monthly publication. Which way is it going to be? I’m not able to figure it out at this point. Personally, I’d go with weekly updates. Monthly is too infrequent for my tastes. Get a list of writers, have them submit their articles for review two days before the next update, and publish them all on the same day every week. That way, it’ll seem less like a blog and more like a weekly magazine. Ah, they key component of every ReviewU: Monetization. So far, I’m seeing a large banner in the header, a 300×250 square just below that, and a couple of 125×125 spots halfway down the page. Nothing excessive, which is good. Focusing on content at such an early stage is the key. There’s just one problem though: The 125×125s don’t work! Clicking on them leads to a 404 page. Nothing major to worry about though, as all new sites have bugs. In addition to the ad spots, I’m seeing some affiliate offers worked into a few of the articles. That’s always a good technique, as it doesn’t take up any re-occurring space. As much as I’m going to hate myself for saying this, this site could actually benefit by expanding it’s ad spaces a bit (after it gets some content going, of course). Two more 125×125 spots and a page-peel ad wouldn’t hurt. I’ll be watching this site with great interest. Maybe I’ll even submit an article or two. I think it has the potential to be very, very big. Just think: One weekly (monthy? daily?) publication where you can read interviews with the pros, what’s hot in the industry, and tips for making it big. I can’t think of any other site like it. Consider me subscribed. Morons + Email Submits + Good Domain Name + New Campaign + Relevant to Current Events = Profit. In addition to that idea, I’ve been doing some research on using proxies and CPM ads to make the $$$. If you don’t know what a CPM ad is, basically you are paid a set rate per thousands views. I know next to nothing about what those types of ads generally go for, so I’m looking around. Also, unless I can talk my web host into turning a blind eye to my system resource usage, I may have to look into getting a VPS (hopefully not though). To top it all off, I’m still working on some craigslist ads that trigger an autoresponder with my product affiliate link. Those haven’t been too terribly successful, and I’m working on making new ads for different cities. So yeah. Busy day. I don’t have anything too terribly witty or interesting to say, so why not take a look at some people who do? Cow is picking up Entrecard for a month again to prove that (most of) its traffic is worthless. Preaching to the choir here. Paul is answering questions. He still hasn’t answered mine though (Do you play Smash Bros?). Jason interviewed some big important guy. Definitely an interesting read. The Cow did one of these a few days ago, and my mind is rather empty at the moment, so I figured I’d do one too. 11 AM. Wake up. Look at clock. Go back to bed. 1 PM. Wake up. Crawl out of bed, put on hat to keep hair out of eyes. Check email, see how many new RSS readers I have (hey, it’s still exciting for me), see if I have any pending lawsuits. Don’t respond to emails yet, as I’m not fully awake. 1:30 PM. Shower, get dressed, eat breakfast. It’s important for bloggers to maintain a healthy diet, so my breakfast usually consists of eggs, cheerios, pasta, hamburgers, and Mountain Dew. 2 PM. Respond to any important emails. Check PPC campaigns, pretend to be surprised, cancel campaigns. Check CJ and Neverblueads for any new, interesting offers. Find none, go sit on couch. 2:30 PM. Video games. I have a very long queue building up on Gamefly, and it takes time to go through them all. Beat roommate at Smash Bros.
4 PM. Eat again. Read webcomics, check Wickedfire for anything interesting. 4:45 PM. Head to work. Unlike some of you lucky folks, I don’t make very much money online, so I have to deal with a real job. Fix Windows servers for the next 7 hours. 7 PM. Go grab dinner from local coffee shop/fast food joint. Take time walking around outside to avoid the office. 7:30 PM. Return to office, ignore co-workers, continue to fix Internet. I’m actually not that busy from 8 to midnight, so I use this time to brainstorm blog ideas. Actually, brainstorming isn’t the right word. More correctly, I sit and wait for inspiration to strike. I also use this time to read blogs, investigate potential affiliate offers, read ebooks that I’ve obtained through illicit means, brainstorm new site ideas, and read threads on Wickedfire. I can’t count on having this much free time at work forever, so I need to find some other time to get this stuff done. 12 AM. Head home. Eat more, play video games, read book. If I happen to have a rare flash of insight, spend this time coding a new site and setting up PPC campaigns. 2 or 3 AM. Bed. That’s my typical day. All of that is going to change in a couple of months once I start classes again, so I’m enjoying my semester off while I can. Also, if you throw my girlfriend into the mix, things get pushed around or removed. Can’t really work on things while she’s around. I’m going to be heading home to visit my parents today and working remotely for a week. I think a change of scenery will be good for me, as right now I haven’t had any good ideas regarding Internets in over a week. Hopefully a little rest and relaxation will help get me out of this rut. Hooray for Sabrina, the first recipient of one of my new paid reviews: ReviewU Now. Today’s review is being fueled by Berry Lemonade Jones Soda, as you can clearly see in the picture (too tangy, not enough sweet. Definitely drink chilled). I’d like to thank Sabrina once again for sponsoring the first in my new collection of ReviewU bottles (which will make an appearance in each picture I take). First of all, what’s this site about? Well, after reading through a few pages of entries, it’s pretty obvious that this is a girl-power site. Alright, maybe that’s a bit too general. MouthyGirl.com is a place for women to read about successful women, womens’ thoughts on living in today’s world, news as it relates to women, advice for women, etc. If you’re not seeing a common theme here, then you must be pretty slow. As a guy, I honestly can’t get much out of this site, but I can appreciate a different viewpoint. I’m not sure how many inspirational girl blogs are out there, but that’s probably because I’ve never really looked. Still, it’s good to see sites out there for women, by women. As cold and heartless as I am, it still bothers me to see girls being treated like objects by their boyfriends/husbands/bosses, and it’s good to know that there are women out there who don’t put up with that crap. As an overprotective big brother (my sister’s still in high school), I approve of this site. I hate to say it, but the theme being used on this site is decidedly dull. For one, the header is enormous, and there is entirely too much white. To be noticed, you have to have an eye-catching theme, and this one is just plain bland. I would consider looking into a new one. At the time of this writing, two of the RSS buttons are broken. The third one seems to work, but most people would probably give up after the first two tries. 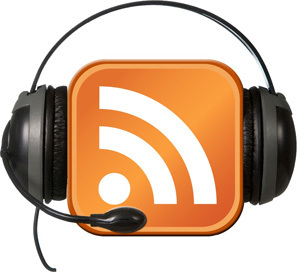 Fix those links to boost your RSS count. While I’m on the subject of the sidebar, that ‘Buy me a beer’ button also doesn’t work. 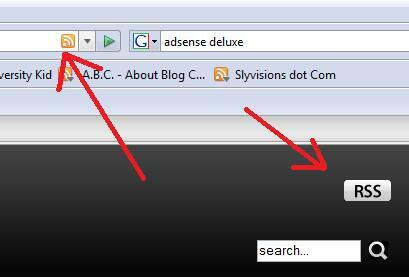 Wordpress loves to break Paypal code, so I’d recommend looking into the Adsense Deluxe plugin. You can paste your Paypal code into there and then insert a comment tag into your sidebar, fixing the whole issue. Either that or just mess around with the sidebar.php file until everything is working. Other than some of the above-mentioned items, I don’t have a lot to complain about regarding this site. It sticks to its niche without wandering around, it isn’t overly-monetized, and it’s updated fairly regularly. Consider making a few of the changes that I suggested, keep up the good work, and you’ll have an attractive site on your hands. What/Where Do You Write With/From? Lately, I’ve discovered that I’ve had a much easier time writing at work, as opposed to writing at home. This is probably because I’ve not had much to do at work lately, and at home I have to resist the near-constant urge to play Team Fortress 2 and Smash Bros Brawl. Of course, I can’t always count on work being this slow, so I’ve been trying to figure out new places to blog from. 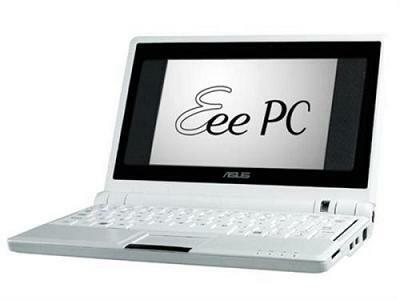 It’s got a tiny keyboard, a slow processor, and a minuscule amount of available persistent storage. Essentially, it’s exactly what I’m looking for. The tiny frame makes it easy to carry around. The slow processor eats up less power, and it’s battery life has been clocked around three and a half hours. I don’t really need a lot of storage space, as all I plan to use it for is Internet activities (blogging, Skype, etc). It weighs two pounds and costs around $400. To me, it’s the ideal travel/blogging laptop. As cheap as I am, I don’t plan on paying for this thing with my hard-earned job dollars. I’m going to wait (and hope) for this blog to pay for one for me. If four people look at my ads and say, “You know what? I DO need web hosting.” and sign up with Hostgator through my link, that’ll pay for my Eeepc. Of course, I’m not actually going to ask my readers directly to do that, so I’ll just sit around and wait for it to happen. Anyway, I’ve already found a good place for future blogging activities (away from home and office). There’s a nice little coffee shop right down the street from where I’ll be living next year. They’ve got good prices, a nice atmosphere, and free wi-fi. I foresee lots of creativity being used there in the future.